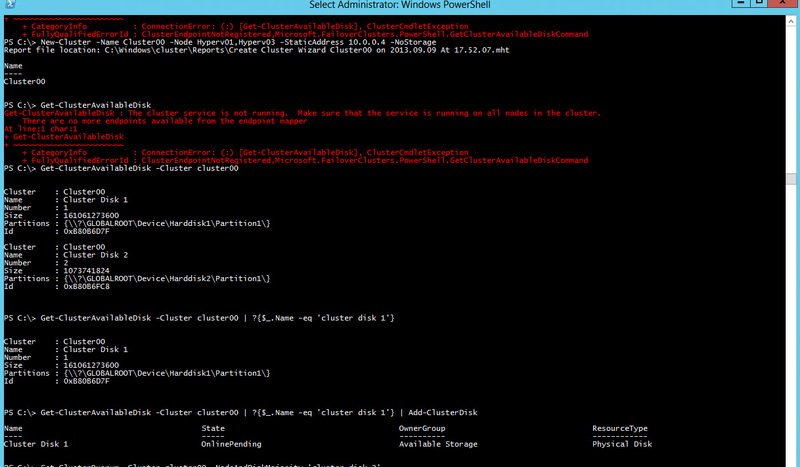 Configuring Windows Server 2012 as an iSCSI Target SAN in a Two Host Failover Cluster Part 4 | Chinny Chukwudozie, Cloud Solutions. In this case, the test passed. The process basically gives us an idea if the nodes’ config are capable of supporting our cluster, with recommendations on what config changes if any we need to apply. 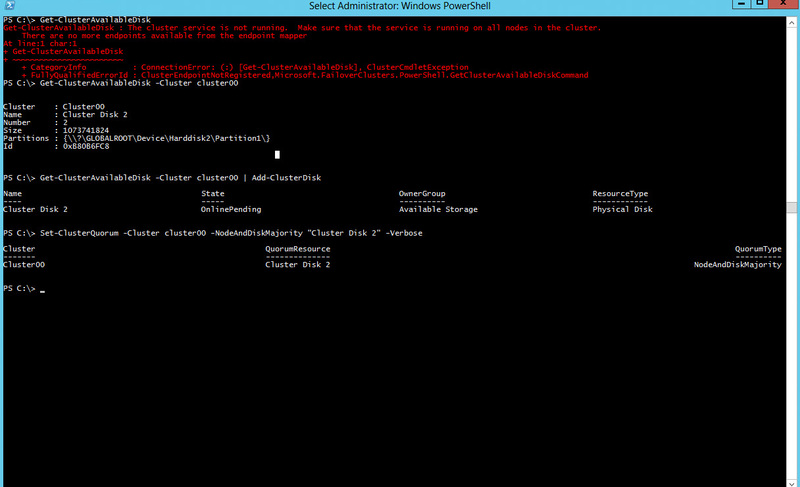 The PowerShell cmdlets can also be put together in a script to automate the tasks. 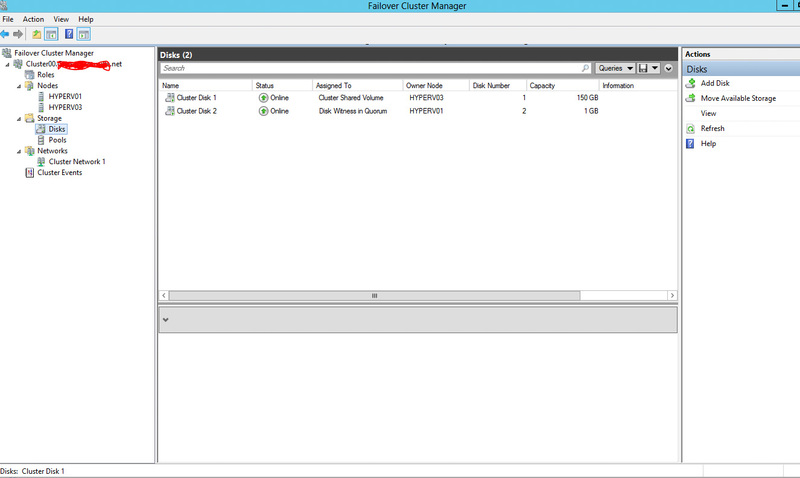 At this point, we could choose to continue managing the cluster using the Failover Cluster Manager GUI or PowerShell. The next screenshot displays the disks as shown in FCM GUI interface: To be continued.. This entry was posted in Cluster Shared Volume, CSV, Failover Cluster, Hyper-v, ISCSI, ISCSI Initiator, ISCSI Target, Microsoft Hyper-v, PowerShell, PowerShell 3.0, Quorum, Windows Server 2012, Witness. Bookmark the permalink.